The Card is left blank on the inside so you can write your own message and is perfect for any occasion. Printed on 300gsm heavyweight stock, supplied with a Recycled Fleck Kraft 110 gsm Gummed Diamond Flap Greeting Card Envelope. 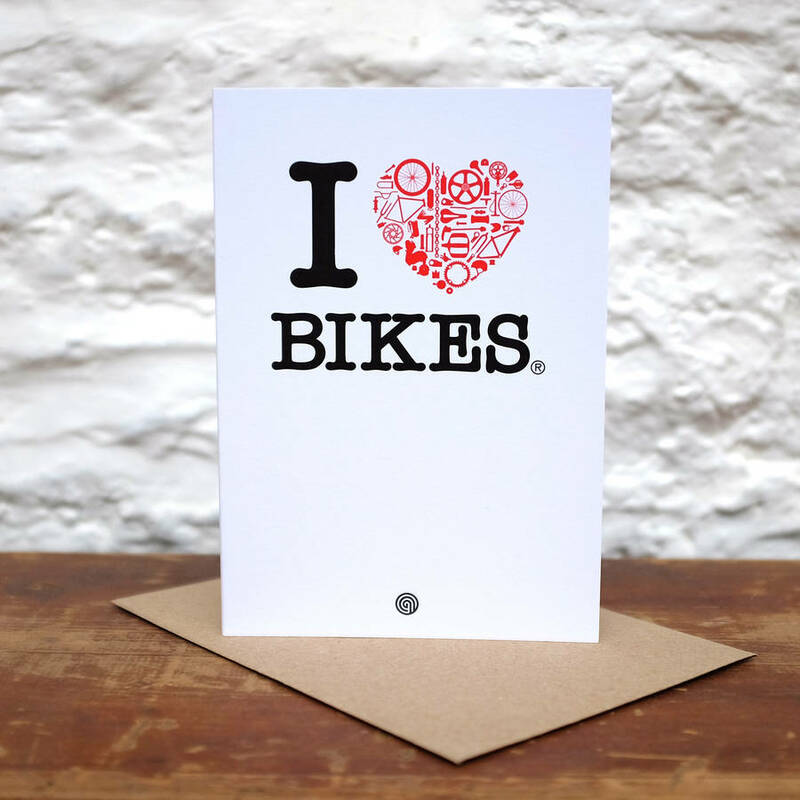 It makes the perfect accompanyment to one of my Limited or Open Edition Prints and is great for any Bike Mad person you know. This product is dispatched to you by Anthony Oram.